This checklist covers almost all plants found in the wild in the islands, native & alien. Brief details of distribution & status. 115 pages + 8 pages of photographs. £4 + 2 p&p. I would be very pleased to receive any records from Scilly, including common species to update the database. Details should ideally include locality with a 6-fig grid reference (or better), date etc. Unusual species or new records etc should if possible be supported by a photograph, voucher specimen or some other evidence. Land in Scilly is in private hands and I would ask botanists to respect this and not to trespass, especially in bulb fields where disease can be easily spread. 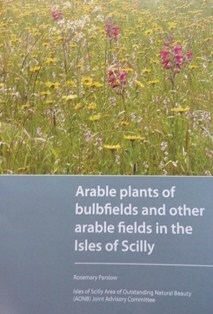 The unfarmed land is managed by the Isles of Scilly Wildlife Trust and is generally open access. 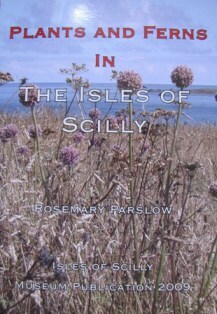 >> Isles of Scilly pages on the Botanical Cornwall Group website.